A very elegant pair of 1970’s table lamps by Hansen. 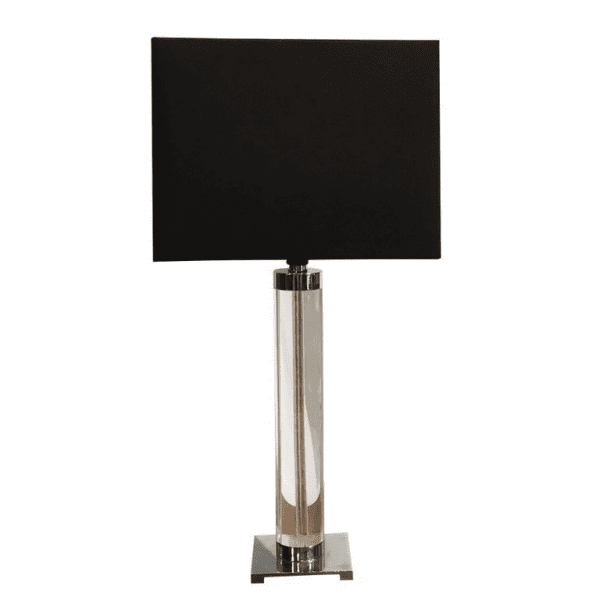 The perfect combination of chrome and clear glass with classic black lamp shades. Wear consistent with age and use. John Robert was an American designer and electrician born in the United States and also passed away in the States. Robert personal life and professional training remain lost in history. In 1950, Robert opened his company Roberts Electric in Orem, Utah. Later in 1954 his brother Dave Robert and their cousin Don Hansen joined his company. Unfortunate in 1959 they had to file for bankruptcy, because of the steel strike. Circa in 1964 – 1966, Don Hansen opened a new company, Hansen Wholesale Electric, soon his nephew Jeff Robert joined the company and eventually took over the ownership of Hansen Lighting, who is still with Hansen Lighting today. Categories: Period Furniture, Lighting. Tags: 1970, AMERICA, Hansen, LAMP, LIGHTING, TABLE LAMP. 31.25 H in. x 16 W in. x 7.5 D in. A very elegant pair of 1970's table lamps by Hansen. 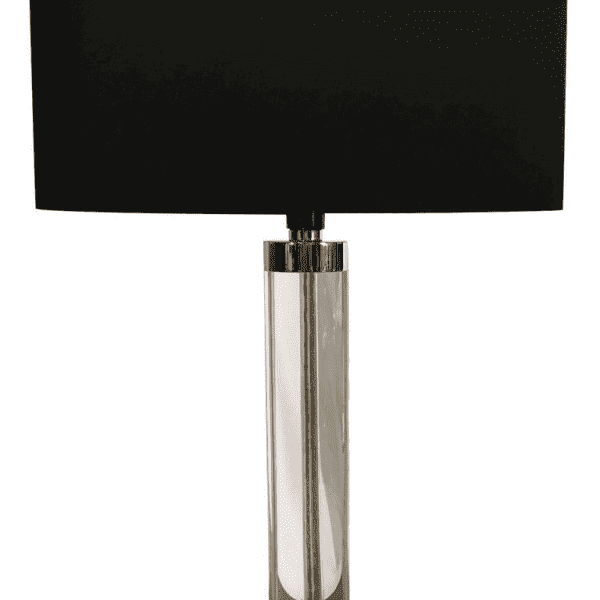 The perfect combination of chrome and clear glass with classic black lamp shades. Wear consistent with age and use. John Robert was an American designer and electrician born in the United States and also passed away in the States. Robert personal life and professional training remain lost in history. In 1950, Robert opened his company Roberts Electric in Orem, Utah. Later in 1954 his brother Dave Robert and their cousin Don Hansen joined his company. Unfortunate in 1959 they had to file for bankruptcy, because of the steel strike. Circa in 1964 - 1966, Don Hansen opened a new company, Hansen Wholesale Electric, soon his nephew Jeff Robert joined the company and eventually took over the ownership of Hansen Lighting, who is still with Hansen Lighting today.